The Military and Hospitaller Orders emerged in the 12th century as Christendom engaged with the threats and the opportunities offered by its Muslim and non-Christian neighbours. 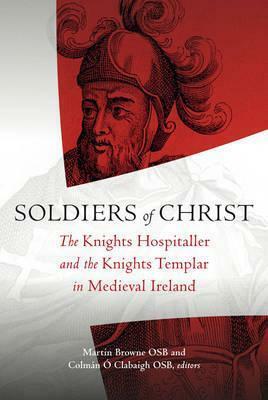 In an Irish context, the Knights Hospitaller and the Knights Templar were the most significant expressions of this unusual vocation that sought to combine military service with monastic observance. Arriving with the first Anglo-Norman settlers, the orders were granted vast landholdings and numerous privileges in Ireland to support their activities in Palestine and the Middle East. From the outset, the knights were closely associated with the administration of the Anglo-Irish colony, with the superior of the Hospitallers, the prior of Kilmainham, consistently playing a key role in crown affairs. This volume, the proceedings of the Third Glenstal History Conference, explores the history of the Military and Hospitaller Orders in Ireland from their arrival in the late 12th century to their dissolution and attempted revival in the mid-16th century. Other contributions explore the orders' agricultural, artistic, economic, pastoral and religious activities as well as examining the archaeology of some of their sites.